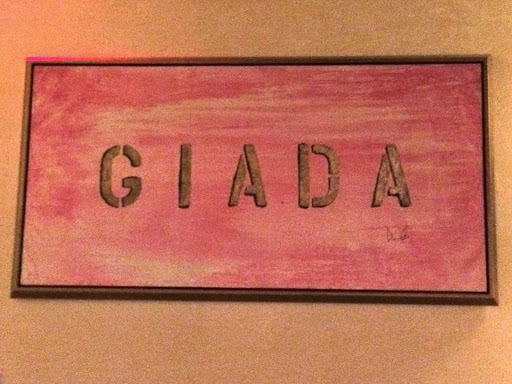 I finally got to try the new and popular restaurant, Giada, thanks to my family friends, the Wohlers. The Wohlers came into town and we were so happy to meet up with them at one of Las Vegas’ hottest restaurants. Great food and great friends…what more can we ask for?!?! Giada De Laurentiis had an Emmy award winning television show on the Food Network channel, Everyday Italian, which I watched everyday after high school. Besides my family, this is how I began my love for cooking and Italian cuisine. Growing up I cooked from her cookbooks (I own just about every one), and I even met her once when I attended her book signing. Before I knew it, my idol had become an icon and face for the Food Network Channel. Her fandom has grown outside her TV show into her own brand, and now, her restaurant. 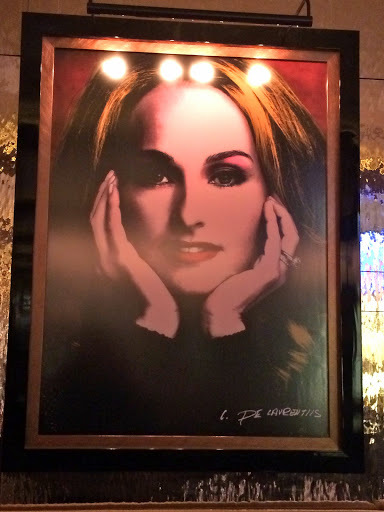 Las Vegas is known for their celebrity chefs on the strip, so it is no surprise that Caesars Entertainment partnered with Giada to open a beautiful restaurant in their new hotel, Cromwell. Since its opening I have heard nothing but great reviews – now that I have had dinner and dessert there, I understand why. First of all, this is probably one of my favorite dining rooms on the entire strip. Everything about this restaurant is beautiful and well executed. It has a modern and elegant vibe with art work surrounding the dining room walls, an open kitchen with marble countertops, and even its very own photo booth which adds a fun touch. 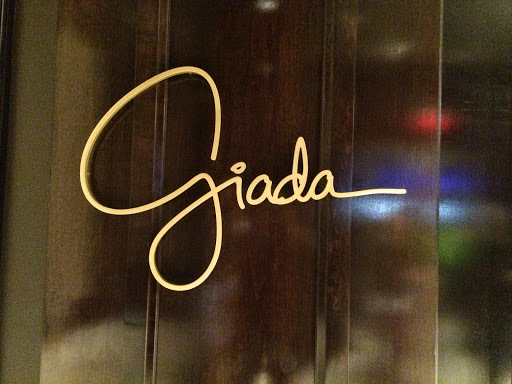 Giada’s is located on the second floor of Cromwell with an escalator leading up to the hostess stand and merchandise behind the hostesses. When you enter the restaurant you are greeted with an open kitchen and an adjacent bar. The kitchen serves antipasto at a counter, and behind the counter there was a glass display case that had hanging fresh pasta…. so cool! The lounge was located in the center next to the bar and antipasto kitchen; it had an upbeat vibe with couches surrounding the area. The dining room was just a step down from the open lounge and had a spectacular view of the strip, and then there was another dining room around the corner of the bar. For a Wednesday night this restaurant was packed! The atmosphere and ambience of the guests enjoying their food and company was music to my ears, as always. We started with some popular antipasto: Margherita Pizzette, Marinated Olives and the house bread. For the main course, everyone at the table ordered something different and we were all in agreement that every dish was magnifico! Spaghetti with shrimp, lemon and basil; Rigatoni with vegetable bolognese; Risotto with crab and scallops; Branzino with a tangerine vinaigrette; and Surf & Turf with fillet and crab ravioli. Now for the best part, dessert!!! 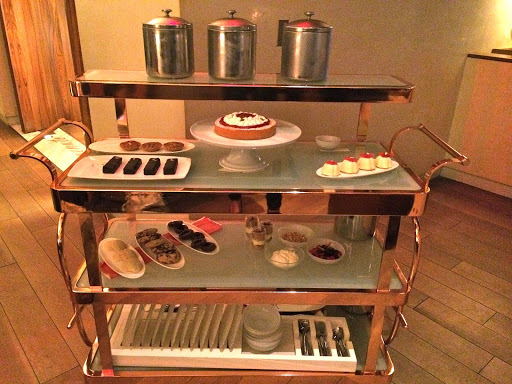 The tart was in the shape of a diamond and was a basket in order to hold the cooked apples. The tart was sweet, buttery, flaky and crispy. Everything you want in a tart, right? The cooked apples in the tart basket were sweet and golden brown with a nice bite. 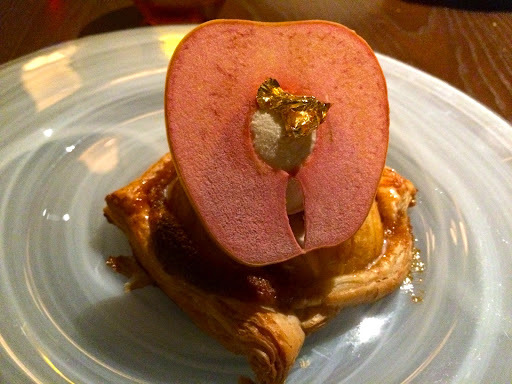 It was basically half of a sliced apple that was fitted nice and snug into the tart basket. 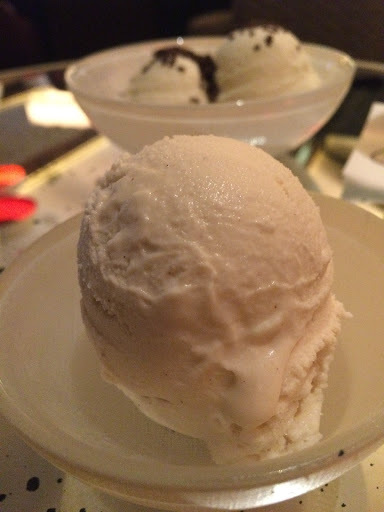 Then there was a scoop of creamy, cinnamon gelato. 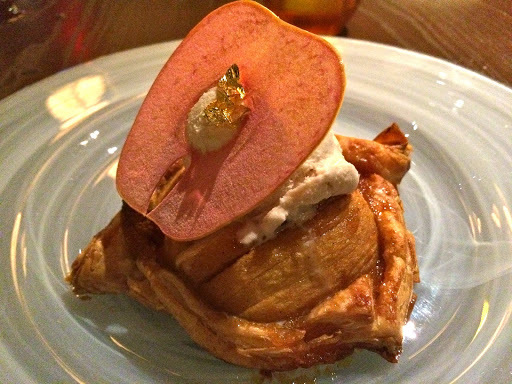 The cinnamon gelato was the best part of this apple tart! It had the sweet-spicy flavor of cinnamon that we all desire and it mellowed out the tartness from the apples. Placed on top of the gelato was a beautiful slice of a dehydrated apple – an additional texture and technique to the classic, simple, dessert. The golden leaf was there for an elegant touch. Overall, I really enjoyed this dessert. The highlight of the dessert was definitely the cinnamon gelato, it tied entire dessert together making it cohesive. 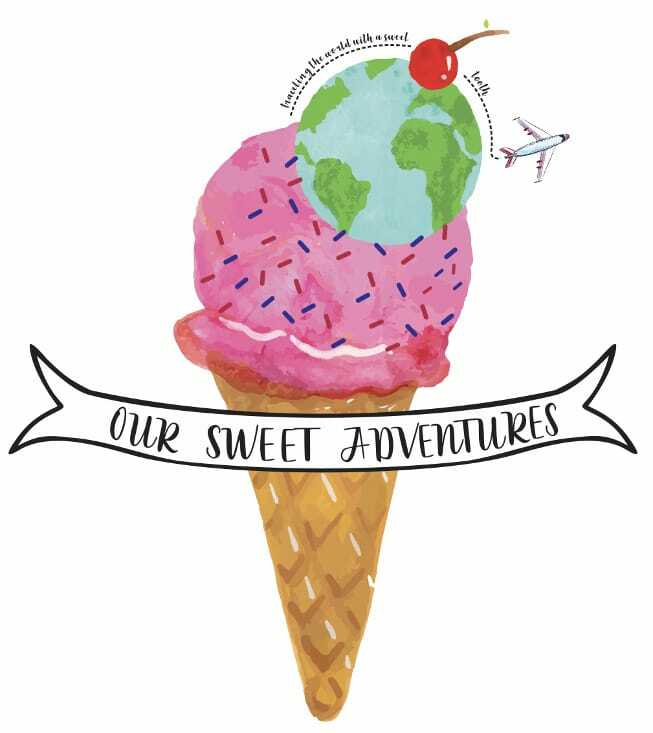 I love gelato! 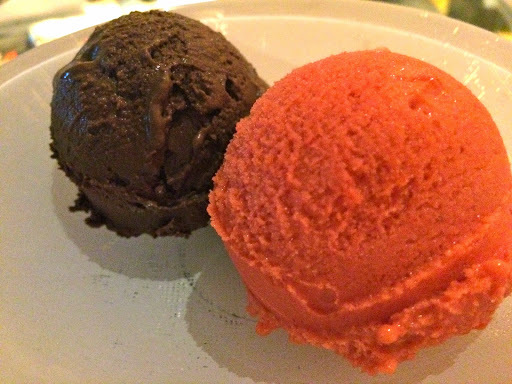 These gelatos and sorbettos were amazing and some of the best I have ever had! Nothing tasted artificial – it was all pure and natural. Cocoa nibs are chocolate in its purest form, before ingredients like sugar and fat are added. Cocoa nibs are essentially roasted to extract the oils and aroma of the true flavor, then steeped in the dairy, and finally some additional flavors are added. 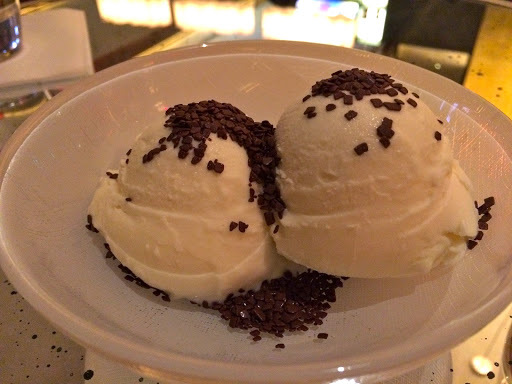 With this being said, the cocoa nib gelato was divine! It was light and delicious. Cocoa nib flavor was fantastic and tasted like a light chocolate milk shake. Oh my! I was in heaven after I took a bite of this gelato. The coffee was so profound in flavor. I would take this over my regular cup of coffee any day! It had a great smooth mouthfeel and an added contrast of texture from the tiny chocolate shavings. The shavings also added a perfect amount of chocolate sweetness to the bitter coffee. This coffee gelato could really be called mocha. It was deceiving in a way with its color; it had an off-white tone, but then again, I guess that’s why it’s called “white” coffee. Very sweet! Strong in strawberry flavor because it tasted like fresh strawberries found in your local market. This also had a beautiful rose color that was very appealing to the eye. Adam described this sorbetto as “nom nom noms”. This was also his favorite of the four gelato and sorbetto. Rich, dark chocolate flavor. Well balanced. It wasn’t overly sweet at all. It also wasn’t too creamy since there’s no dairy, but it was smooth and had a great mouthfeel. The color was dark and luscious. Best sorbetto I have ever had if not one of the best dark chocolate ice cream, gelato, sherbet, etc I have ever had. All around I was surprised at how amazing this chocolate sorbetto was, it had great texture and flavor throughout every bite.